Clean this fabric with the foam only of a water-based cleaning agent to remove overall soil. Many household cleaning solvents are harmful to the color and life of a fabric. Cleaning by a professional furniture cleaning service only is recommended. To prevent overall soil, frequent vacuuming or light brushing to remove dust and grime is recommended. Clean this fabric with pure solvents (Petroleum distillatebased products, Energine, Carbona, Renuzit or similar products may be used) in a well-ventilated room. Cleaning by a professional furniture cleaning service only is recommended. CAUTION: Use of a water-based or detergent-based solvent cleaners may cause excessive shrinking. Water stains may become permanent and unable to be removed with solvent cleaning agents. Avoid products containing Carbon Tetrachloride as it is highly toxic. To prevent overall soil, frequent vacuuming or light brushing to remove dust and grime is recommended. Clean this fabric with the foam only of a water-based cleaning agent or with a pure solvent in a well ventilated room (Petroleum distillate-based products, Energine, Carbona, Renuzit or similar products may be used). Cleaning by a professional furniture cleaning service only is recommended. To prevent overall soil, frequent vacuuming or light brushing to remove dust and grime is recommended. The article is resistant against perchlorethene, cleaning benzene (spirit), white spirit, R 11, and R 113. The article is washable. Please consult your Sample Book for individual washing instructions. Clean this fabric only by vacuuming or light brushing to prevent accumulation of dust or grime. Water-based foam or solvent-based cleaning agents of any kind may cause excessive shrinkage or fading. The symbol “_” under the P means very limited addition of water, less mechanical treatment and /or lower drying temperature. The article is resistant against cleaning benzine (spirit), white spirit and R 113. PLEASE NOTE: We strongly recommend that any fabric be tested by the dry cleaner before proceeding to ensure that the dry cleaner’s method does not damage the fabric. We cannot guarantee an exact color match as shades may vary from lot to lot. Pattern repeats on samples are approximate. Fabrics not guaranteed against wear, fading, or shrinkage through exposure to sun or atmosphere. CAUTION: Adding topical treatments to any fabric may alter the performance, quality, color, or hand. JF Fabrics will not accept responsibility for any fabric treated beyond regular finishes applied at the mill level. Climatic conditions and humidity in the environment may cause a fabric to contract or expand after installation. We recommend you allow sufficient fabric for these environmental changes. A 2 – 3% residual shrinkage is reasonable. Patterns not listed have been cancelled. Prices are subject to change without notice. A return authorisation number must be obtained for all returns and JF Fabrics will arrange to pick up the fabric. NOTE: This policy applies to UNCUT fabric only. No fabric can be returned for credit if it has been cut or processed by the purchaser in any way. We recommend all fabric be inspected and checked for flaws, correctness of pattern, color, and differences before any fabric is cut. All sales for clearout products are final and no returns will be accepted. A return authorization number must be obtained for all returns and JF Fabrics will arrange for pick up of the shipment. A 25% or minimum $100.00 restocking charge and freight charges apply. Items being picked up must be packaged in the same fashion as they were received, to ensure they are in perfect quality for credit. FOB North Carolina – Standard sizes are in stock. Rugs may be folded or rolled during shipping. Damages to packaging must be reported to the carrier immediately before signing. In home set up not available. A $50 deposit per sample will apply. Samples must be returned in their original condition and will be credited upon return. We strongly recommend ordering a loaner sample prior to purchase. Please note as these rugs are hand dyed and woven there may be slight variances in color. Each rug sample is scaled accordingly to ensure the pattern is well represented. Standard sizes may vary, 6% in the length and 3% in the width. Please ensure your measurements account for these variances. Each rug is scaled accordingly to ensure the pattern is well represented regardless of size. Frequent vacuuming will prolong the appearance of your rug; do not use a beater bar on rugs that contain viscose or those of loop construction. Harsh chemicals or cleaning agents are not recommended on fine fibers. Turn rug occasionally to ensure even wear. New rugs may shed excess yarns for several months, be sure to gently clip the yarns with scissors. DO NOT PULL LOOSE FIBERS. Remove spills by blotting with a clean, undyed cloth. Press firmly around the spill to absorb the moisture. (DO NOT RUB). For difficult stains seek professional cleaning. Avoid direct sunlight as fibers may fade over time. Shading and color variations are a characteristic of all cut pile rugs. This is caused by slight variations in pile direction and cannot be avoided. Vacuuming may help, however shading is a notable characteristic of cut pile rugs and should be appreciated for its beauty. Weave lines and striations are also normal characteristics of handmade rugs and must not be considered a defect. Clients are responsible for the accuracy of their order; please ensure measurements, color and ID numbers are accurate. Full payment required prior to shipping. 50% deposit on custom rugs/full payment due prior to shipping. See Custom Rugs information page for full details. No claim will be considered after 14 days from invoice date. No claim or return will be considered for more than the value of the invoice or if items have been altered. Claim for payment on unauthorized repairs will not be accepted. Return is subject to a 25% restocking fee. Custom rugs are final sale. Please refer to Custom Rug General Information page for further details. No return will be considered after 14 days from invoice date. A return authorization number must be obtained for all returns. JF Fabrics will arrange for pick-up of the returned item. Defective rugs may only be returned with written authorization from JF Fabrics. Rugs must be packaged in the same fashion they were received, as JF Fabrics will not be held responsible for damages that occur in transit as a result of poor packaging. Standard underpad is cut 3” smaller than desired rug size in the width and length. If underpad is ordered separately, the rug name or exact size must be specified. Please note underpad is 12′ wide; see pricing and measuring guidelines below. Underpad is cut 3” smaller than desired rug size in the width and length. Our Drapery Hardware product line has been designed to meet your every need. Please contact your local Sales Representative to assist you in accomplishing your objectives. Installations: We recommend use of a professional installer. The Drapery Hardware product lines are versatile and commonly used in commercial installations. 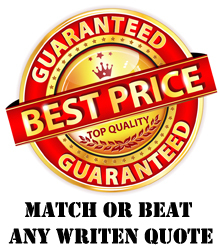 Contact your Sales Representative for contract quotations. Sample Chips are available for the Essentials 1 & 2, Earth Elements, Essentials Veranda and the Elegant Glide collections only upon request through our showroom or online at jffabrics.com. Elegant Glide drapery hardware collection features both hand-drawn and motorized systems, Ripplefold® Pleated and C-ring options where applicable. This interactive catalogue will assist with measuring and installation. 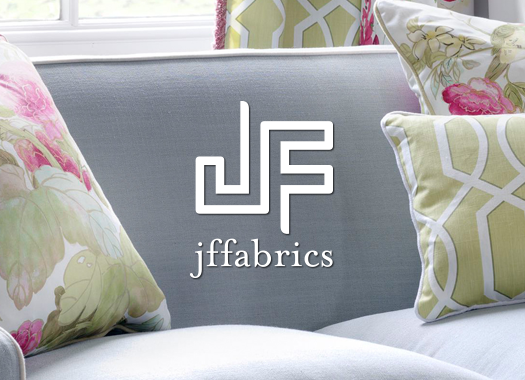 Simply download the JF app to unlock the video or visit jffabrics.com. For further assistance, contact your JF Sales Representative. Please note as the motorized systems require custom assembly, 2 to 3 week lead times are required. The color of the components supplied for metal tracks systems cannot be changed. Motor options are battery operated or plug-in. Hardwired is not available. Ordering: Always include item and finish code. Canadian orders ship FOB Oakville, Ontario. All motorization orders are considered custom as they are produced individually for each order. Cancellations, changes and returns are not permitted once an order is processed. A return authorization number must be obtained for all returns. JF Fabrics will arrange for pick up of the shipment. 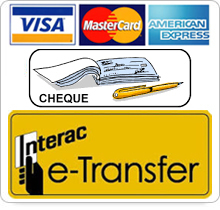 A 25% or minimum $50.00 restocking charge and freight charges apply. Items being picked up must be packaged in the same fashion as they were received, to ensure they are in perfect quality for credit.